An aesthetic gated residential community jointly ventured by reputed real estate brands of ozone and KNS Groups offers 554 well-laid plots, facilitating to shape your dream homes. Located in plush suburbs off Sarjapur Main road, Bangalore, the project is in close proximity to prime areas and IT corridors of ITPL –Whitefield, Electronic City and Sarjapur-Outer Ring Road. The project offers sites of different dimensions to choose from. The residential sites offered measures 30’x 40’, 30’ x 50’, 40’ x 50’, 40’ x 60’, 50’ x 80’ and the commercial plots are sized 50’x 80’. 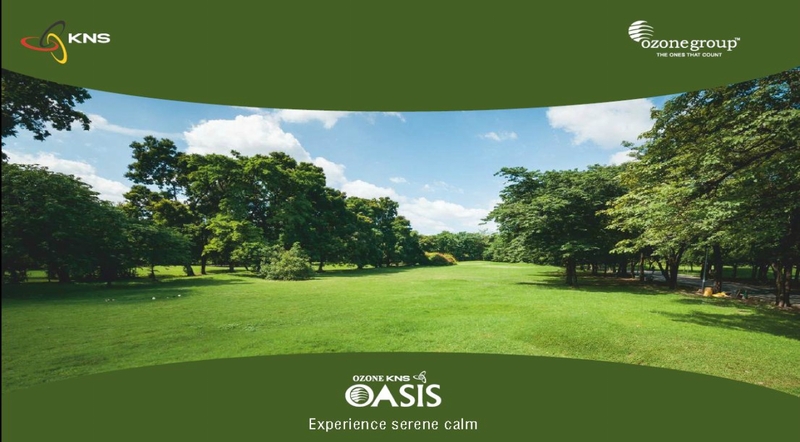 Oasis includes a wide range of modern amenities like multi-storeyed clubhouse, Library, Crèche, Amphitheatre, Health Club, Tennis Court, Swimming Pool, Kids&#39; Pool, Palm Avenue, Gym, Badminton Court, Squash Court, Snooker, Table Tennis, Other Indoor Games, and Kids’ Play Area. Sarjapur Road is situated on south-east end of Bangalore. It is positioned on the junction of Koramangla and HSR Layout, beginning from the centre of Bangalore and extending to the village. It is a bustling locality with an efficient social infrastructure encompassing well-known educational institutions, healthcare centres, shopping malls and hotels. Excellent connectivity to the neighbouring IT hubs such as Koramangala, Whitefield, Electronic City and Outer Ring Road, makes Sarjapur a preferred. Ozonegroup is committed to providing you a higher quality of life and redefining standard of living through innovative real estate products. We distinctively differentiate ourselves through our unvarying focus on 3 core values – Customer Centricity, Quality and Transparency. We have consistently stood at the forefront of design, raising the bar on aesthetics, functionality, infrastructure and eco-friendliness. Ozonegroup’s key differentiator is the abundant infrastructure in all our projects. We address the most basic needs like Water, Power and Security besides providing high-end conveniences and creature comforts with similar attention that form the important essentials that drive our business objectives. Every project of Ozonegroup has well designed infrastructure such as wide internal roads, adequate car parks for residents and their visitors, large open green spaces with water features, effective security systems, besides carefully chosen high quality building materials. We also invest significantly to make our projects environment friendly, through rain water harvesting, solar heating and lighting, waste management and other similar eco-friendly features.